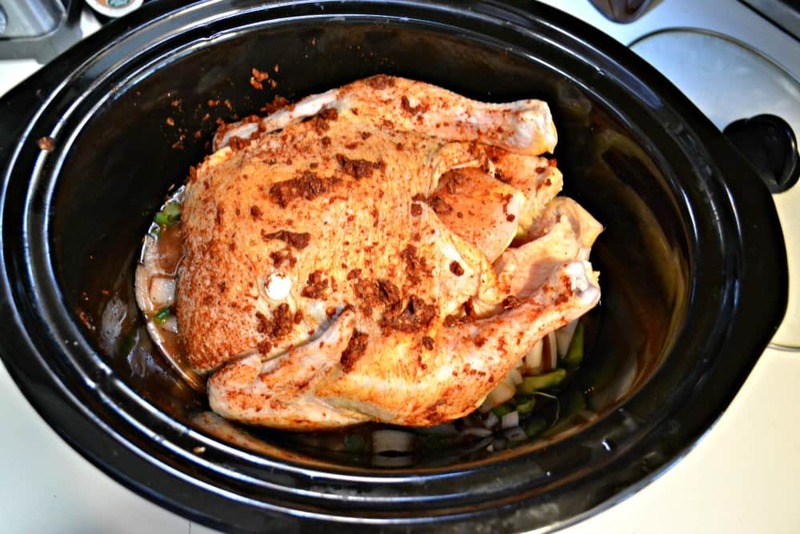 Have you ever cooked a whole chicken in your slow cooker? Until last week I hadn’t. I’ve heard of people who have made a whole chicken in the slow cooker but I’ve been skeptical. I’ve heard it’s dry, I’ve heard it falls off the bone, I’ve heard it’s really moist. I didn’t know what to believe so I had to try it out myself. I’ve had a whole roasted chicken in the freezer for several months and I needed the space. 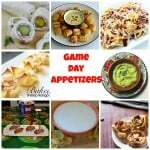 I polled some of my foodie friends on recipes they used and I came up with two that looked good. 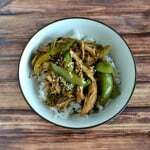 I ended up combining them both into one recipe. I liked the seasonings that were rubbed on the chicken in the first recipe. It was for a rotisserie chicken in the slow cooker and I used that as my rub. I rubbed the seasonings all over the the skin of the chicken and underneath it. Then I set the chicken aside. 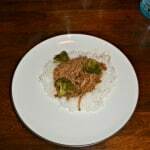 The second recipe had vegetables, chicken stock, and wine in the bottom of the slow cooker. This combination of liquids and vegetables has two purposes. 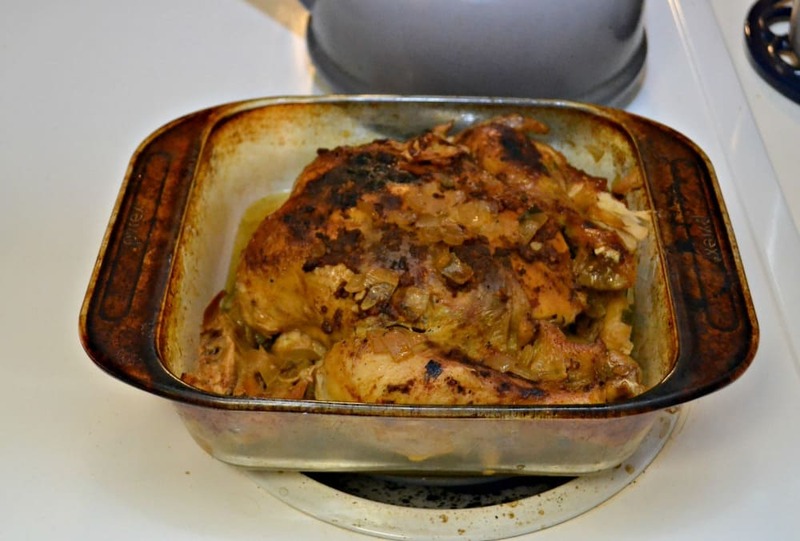 The first is that it makes a delicious braising liquid for the chicken. The second is that it makes and amazing homemade gravy. 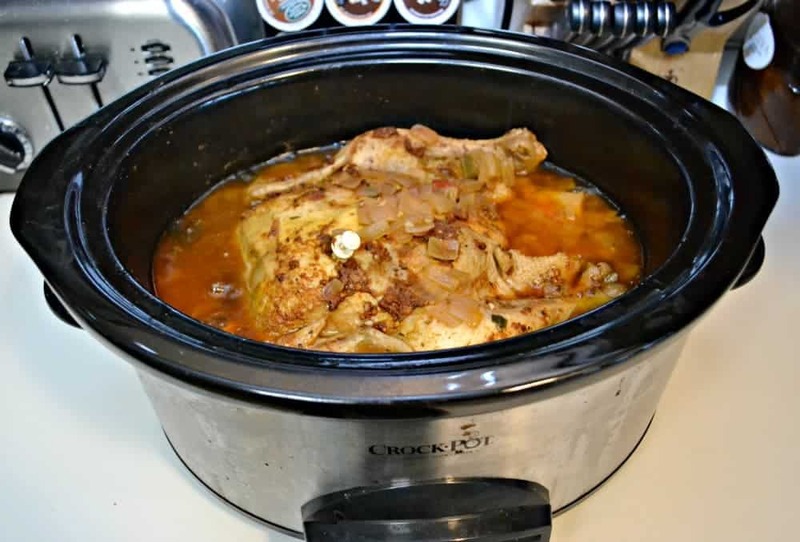 Once the chicken is cooked it is removed and everything left in the slow cooker is blended with an emulsion blender to make an easy, but tasty gravy for the chicken. The chicken was falling off the bone when it was finished. I had a hard time transferring it to a baking dish to broil the skin crispy. The flavor of the chicken was really delicious from the spices rubbed onto and under the skin. We did find that the breast was a little dry but that was probably the result of cooking it for longer then the directions stated. I loved the gravy made from the vegetables, pan juices, and chicken broth. 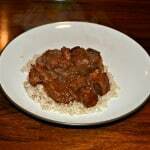 I made it right in the slow cooker using the emulsion blender and thickened it up with a little flour. It was awesome. I served the chicken with some mashed potatoes and poured the gravy over top of all of it. YUM! 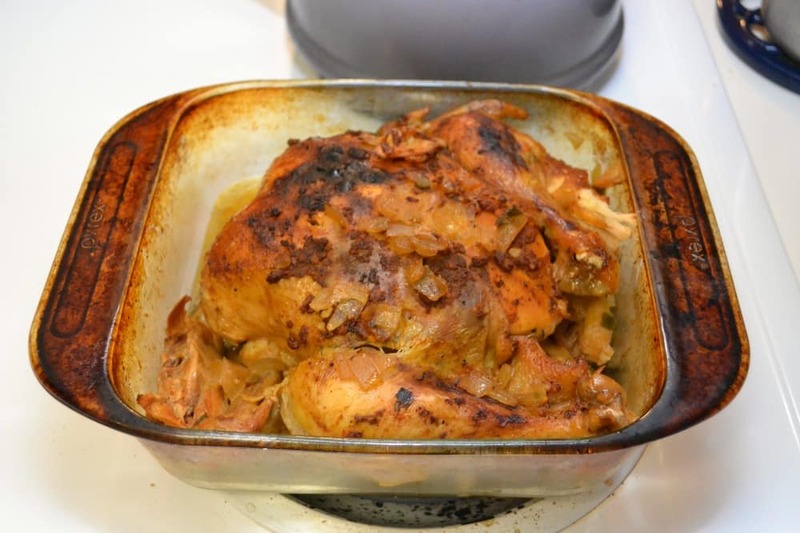 A quick and easy way to make a whole roaster chicken and homemade gravy. Whole Chicken rubbed with spices then cooked in the slow cooker over top of vegetables, chicken broth, and white wine for and incredible homemade gravy. In a small bowl combine all the ingredients for the rub. Mix until a thick paste forms. Rub the paste all over the chicken, including under the skin. Set aside. 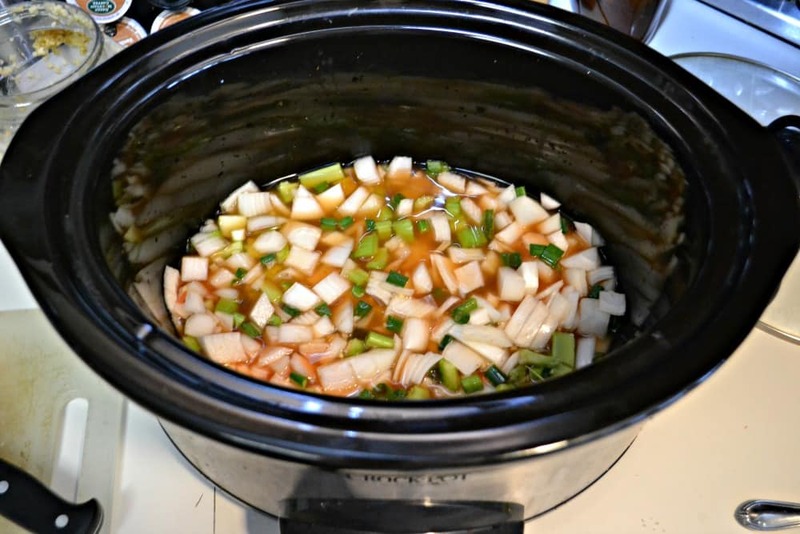 Place the celery, onions, and green onions in the bottom of the slow cooker. Add in the tomato paste, chicken broth, and white wine. Mix well. Place the chicken on top of the vegetables and cover. Cook on low for 6 hours. Remove the chicken to a baking dish and broil for 5-10 minutes, 8 inches from heat, until the skin is crispy. Meanwhile, add the flour to the vegetables and braising liquid in the slow cooker. Blend with an immersion blender until a gravy has formed. Pour the gravy over top of the chicken and enjoy. I would make a fruit smoothie first and go from there. I think I’d love this. I would make milkshakes! I love banana PB milkshakes best. I would make fresh fruit smoothies for the kids and I for breakfast. Great giveaway! I entered, and followed. Nice blog, nice to meet ya. Fingers Crossed! Thanks! My smoothies for breakfast every morning! I would be making some smoothies and milkshakes! I want to make a yummy fruit smoothie in the blender. My favorite skinny snack is homemade salsa. I use sliced cucumbers for the “chips”. This would be perfect to whip up a fresh salsa and then a berry smoothie to wash it all down. I’d make a green monster smoothie in it every morning for breakfast! I would make roasted tomato and basil soap with it. I would make Bulletproof coffee in this blender. It is perfect for it. Thanks! i would make fresh hummus with this blender. I would blend up some food for my puppy in it. I would make some yummy smoothies and milkshakes. I would make protein smoothies, thanks! I would make avocado smoothies first! The first dish I would make with the Personal Mason Jar Blender would be a beef stew. The second would be Spaghetti sauce. I have so many different vegetables canned from the garden that I could use the Blender everyday and Love IT! If I won, I’d make smoothies. lots and lots of smoothies. mason jars are perfect for them! I would make my morning smoothies! I would use it to make fruit smoothies! I would use it to help puree some extra veggies into the gravy my Dad wants every single day on top of everything! I would start off with making some homemade sorbet with fresh homegrown fruits! I’d make smoothies for my family.